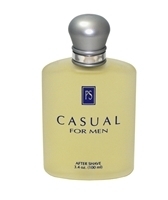 A neighbor wears your Casual for women which has a nice scent. She mentions Paul Sebastian makes it. I wear Paul Sebastian and she mentioned your have it for me. When will b in stock n here can I purchase Causaul for men. I use it daily and won't leave home without it. I really like it, but the aroma doesn't last long.